Up to 40-50% of women under the age of 40 are affected. According to a recent article in Marie Claire, the average age of women experiencing hair loss is now 30. Hair for most women is their biggest single defining feature as it creates both an image and style. 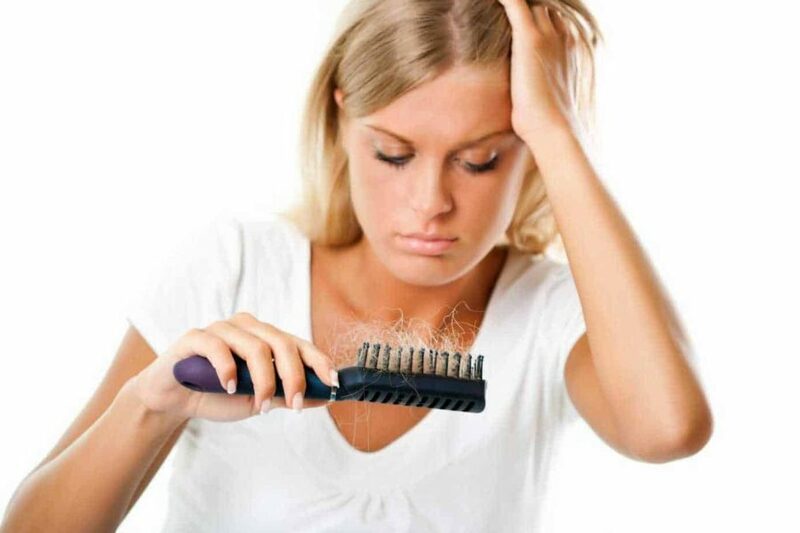 So hair loss makes women panic. It was once the domain of the menopausal / post-menopausal woman. So, whether you know someone who’s dealing with this, or it’s your own hair that’s starting to thin or fall out it is best to seek expert advice. Young women hair loss (or alopecia) can be divided into two types. Scarring and non-scarring. Scarring alopecia is permanent where as non-scarring may be reversible. Luckily scarring alopecia is rare and accounts for less than 3% of hair loss. Wearing your hair in tight, restricting styles that pull on your scalp can damage your hair follicles. If you style your hair in cornrows or tight braids, be warned: this type of hair loss can be permanent, because you are causing direct damage to the hair follicle and its ability to re-grow. Use fortifying shampoos and conditioning hair products, such as Nanogen Thickening Treatment for women. Keep mild dermatitis and dandruff under control – try our Dandruff Control Shampoo which is also a weekly clarifying shampoo. Go to https://www.wimpoleclinic.com/shop/ to find out more.